I've added some resources on this blog to further its purpose of making good information about El Salvador available to an English-speaking audience. On the right hand column of the blog you will now find a book list, a movie list, a blog list, and a collection of El Salvador-related YouTube videos. I hope you find them helpful. If you have suggestions for me to add to any of these lists, please forward them, and look for other categories of resources to be added in the future. Reducing levels of crime in El Salvador needs participation and cooperation of all sectors in society. A positive example of how the government can engage with the citizens on the topic of security was a forum on "Youth and Violence" organized by young people in Cabañas last week. The Youth of Cabañas Conduct a Forum Against Violence and the Criminalization of Youth in the Country. The Department of Cabañas joined the celebration of International Youth Year with a forum called "Youth and Violence" which took place in Sensuntepeque - Cabañas - Wednesday 25 August, with the aim of establishing the young person as an actor conscious of his or her reality but at the same time being able to offer opinions and solutions to their problems. Media sources in El Salvador and the rest of the world have been filled with the reports of the massacre of 72 presumed Central and South American migrants. According to the lone survivor of the massacre, they had been killed by members of the Zetas, one of the Mexican drug cartels engaged in a brutal drug war. Gunmen stopped a truck carrying the victims, demanding a ransom or to recruit the migrants. When they could not or would not meet the demands, the massacre began, according to the witness who managed to escape. The massacre took place on remote ranchland about 90 miles from the southern US border. Of the bodies which had been identified by this evening, six were reported to be Salvadorans. There's a noticeable difference from the dangerous, crowded, dirty conditions which mark the historic center of San Salvador today. The church which appears in the video is the old cathedral which burned to the ground in 1951. The current Metropolitan Cathedral was only finished in 1994 after the conclusion of the civil war. The online periodical El Faro reports this week that El Salvador's police authorities believe they are seeing the start of an improvement in El Salvador's tragically high murder rate. According to the report, July 2010, with 9.4 homicides per day, had the lowest monthly daily average recorded since the 8.5 murders per day in December 2008, the last time the homcide figure was below double digits. In the first two weeks of August 2010, according to police sources cited by El Faro, the average increased to 10.1 homicides, but the numbers were down between 6% and 40% over August 2009 in five departments: San Vicente, Santa Ana, Usulután, San Salvador and Sonsonate. President Mauricio Funes receives a positive rating from 81% of Salvadorans, according to a CID Gallup survey published yesterday. The study was conducted from August 12 to 15, 2010. A total of 1,010 Salvadorans were polled, with a sampling error of 3.08 points, up or down. The proportion of people with positive views increased slightly from 79% in July, but in October 2009, Funes had his highest proportion of positive ratings: 87%. Funes' popularity cuts across party lines. 90% of FMLN supporters rate him positively, and 63% ARENA members. 62% of people believe that this administration has changed things "for the better" and only 16% "for the worse." In the US, Barrack Obama would love to have poll numbers that high. After almost 6 years of blogging and more than 1500 posts, I'm looking for suggestions and ideas about how to make this blog more useful and informative to all its readers. What do you want to know? Are there other topics I should cover? Should the layout be re-designed? Should the blog be more interactive? You can leave a comment on this post, or send me an email using the link in the right hand column. Mari Del Carmen Aponte will finally become the next ambassador to El Salvador, although without confirmation by the full Senate. President Obama used a recess appointment to get around a Republican hold on the progress of her nomination which had been pending since last December. Washington Latin America hands say Aponte’s confirmation was held up by Sens. Jim DeMint (R-S.C.) and Jim Risch (R-Idaho) over a past relationship with a Cuban American who had alleged contact with the Cuban interests section, although nothing shown to be illicit. “No big deal, but given the utter nuttiness about Cuba among some, she wasn’t getting confirmed,” one Latin America hand explained. Aponte’s confirmation had been strongly championed by Sen. Robert Menendez (D-N.J.), who praised Obama's decision to move forward with the recess appointment today. Disaster patterns in El Salvador are ever increasing, and will continue to do so in the coming years due to unpredictability of El Nino/La Nina cycles. This year, for example, unexpected downpours in August, the month that is normally a mid-summer drought, will threaten to destroy corn crops, which will further indebt farmers who already lost bean crops in Hurricane Ida last November. Increase in sea level rises could wipe out the entire Bajo Lempa region in the next 100 years, and corn may become inviable in the next 50 years depending on temperature increases. 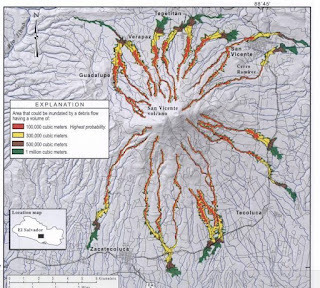 On November 6, 2009, landslides caused by torrential rains demolished sections of the towns of Guadalupe and Verapaz on the slopes of the San Vicente volcano. Nine months later, I participated in a meeting with leaders of the town of Guadalupe. They spoke of their concerns -- the foremost being that they needed a bridge built as part of an evacuation route. When the rains come again, as they certainly will, flash flooding cuts off the route of escape leaving people trapped for the mudslide which may follow. Meanwhile, families whose homes were destroyed still live in temporary wood structures close by the community, cooking in a community kitchen and using community bathroom facilities. Guadalupe and Verapaz have a history of suffering from disasters on the folds of the volcano. The February 13, 2001 earthquake wiped out much of the towns, and then in September that same year, a landslide caused by flooding repeated the damage. And then in 2009 the tragedy repeated itself. On Wednesday, August 11th, Alicia Garcia, one of the founding members of the Committee of Mothers Monseñor Romero, passed away after over thirty years of unending struggle in defense of human rights and for justice in El Salvador. In January 2009, I wrote a post titled "The Primacy of the Party" where I described the Salvadoran system for electing deputies to the National Assembly. The voters do not vote for individual deputies; they vote only for the political party. The ballot for deputies to the National Assembly is simply a series of party logos, and the voter marks the logo of the party for whom he wishes to elect deputies to the National Assembly. The parties develop their slate of deputies for each department, and rank those deputies from 1 to the total number elected in the department. I was in Puerto Parada, El Salvador Monday. Puerto Parada is a very poor community bordering the mangrove swamps along the Bay of Jiquilisco. It is a community heavily damaged by flooding earlier this year (more about that in a subsequent post). What troubled me most about my visit there was information I learned from a local Lutheran pastor. He told me that 50% of the local children do not attend school, because their parents send them out to work in the mangrove swamps. This is a particularly grueling form of child labor, where children gather mollusks in the estuary waters of the mangrove swamps. Pacific Rim, the Canadian mining company which wants to open a gold mine in El Salvador, survived an initial attempt to dismiss its lawsuit against the government of El Salvador. On Monday, August 2, 2010, the international arbitration tribunal hearing the claim issued a ruling on preliminary objections filed by the government of El Salvador to the complaint. The tribunal overruled the objections and will allow Pacific Rim to proceed to an evidence stage in the action. This was a preliminary procedural ruling -- the tribunal rules on whether Pacific Rim may pursue its claim by assuming all facts in the written complaint are true and considering only any other facts which are not disputed by the parties. The tribunal went to some length to explain that it was not ruling on the merits of Pacific Rim's claims, but only ruling that its written complaint contained sufficient allegations to proceed to the next phase which will include hearing witnesses and receiving evidence. 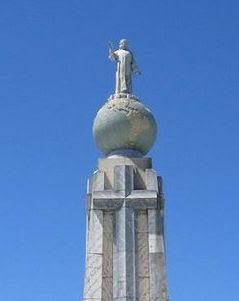 As part of the celebrations of San Salvador's patron saint, La Prensa Grafica is encouraging readers to upload and vote on their favorite photos of the Salvador del Mundo monument which is the symbol of the capitol city. You can view the dozens of photos here. The first day, there is a Parade named “Desfile de correos” (The Mails Parade), leaded by the Mayor of the City. A lot of people take their children to see the Parade, lengthwise at least 5 miles. In the Parade, a lot of citizens, marching bands, floats, cosplayers, The August Old Men (men in scary masks), The Historians, The Flowers Procession, Military Forces, Clowns, among many others, file out. Also, a girl is elected as the Queen of the Feast. Figueroa also has a set of photos of today's parade. La Prensa Grafica has its annual special section on this week of festivals here. The schedule of the week's events in San Salvador is here.